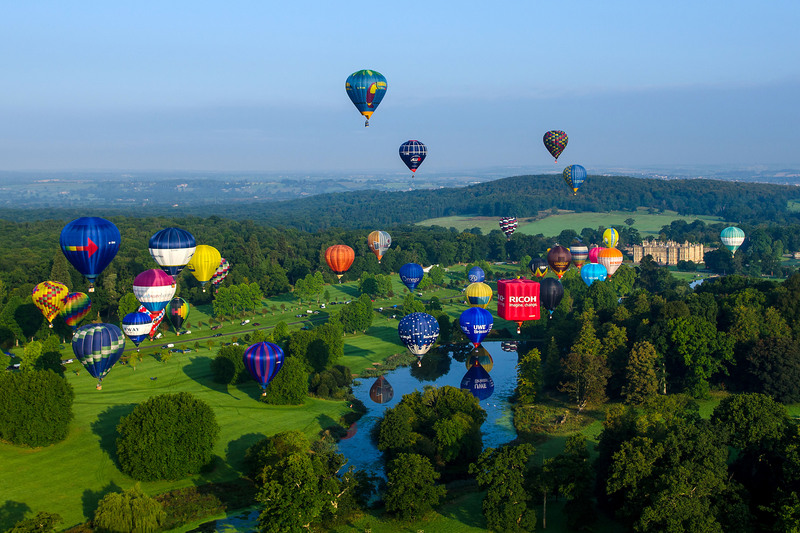 The skies above Wiltshire are set to be filled with dozens of spectacular hot air balloons as Longleat stages its annual Sky Safari (September 15th-17th). 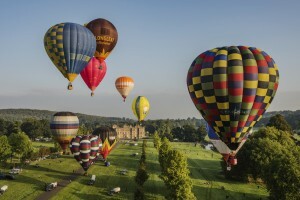 Following on from the popularity of last year’s event, organisers are hoping this year’s will be the largest annual event of its kind in the UK with 130 balloons scheduled to take part over the three days. Longleat’s very own lion shaped hot air balloon, Simbaloo, will be taking to the skies alongside penguins; Puddles and Splash, who will also be showing off their cute new penguin chick balloon at the event for the first time. 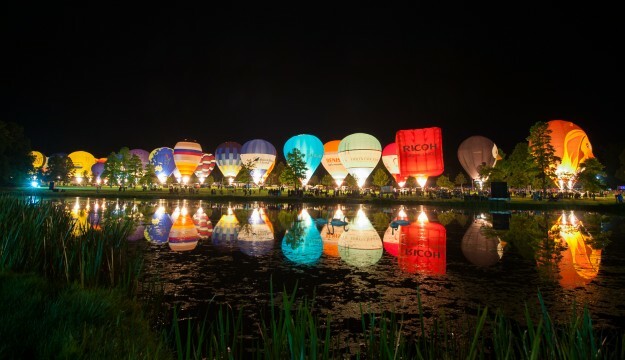 On Friday and Saturday evening Longleat will be lit up by a very special celebratory night glow event with the balloons firing up their burners to musical accompaniment. 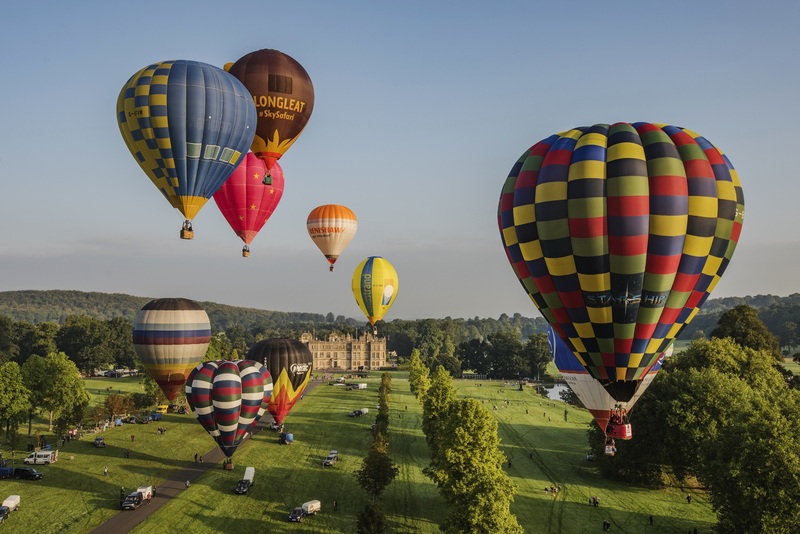 Andrew Holly from Exclusive Ballooning said: “We’re on track to be the largest annual event of its kind in the UK with 120 balloons planned for a mass launch at some point over the weekend and more than 550 total ascents attempted over all three days. “Last year’s inaugural Sky Safari was a huge success and this year’s event is set to be significantly larger with balloons and balloonists from across the globe heading for Longleat including past and current world champions from the U.S.
“We’ve also increased the number of night glows and re-located the tethered displays to a new area nearer to Longleat House which will enable visitors to get closer than ever to the balloons,” Andrew added. In addition to the early morning and dusk launches on Friday, Saturday and Sunday the tethered displays will be taking place from 10am-midday and 2pm-4pm on all three days, weather permitting. The night glow event is due to take place from 7.30pm on Friday and Saturday. There will also be an exclusive preview event for Longleat Annual Pass Holders only on Thursday, September 14th. 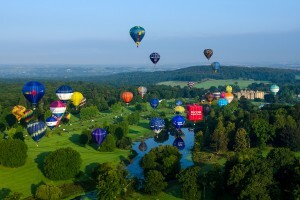 Sky Safari – Sept 15th-17th at Longleat, Warminster, Wilts BA12 7NW. Admission to the event is free with a valid day ticket, however advance online booking is recommended as it is likely to prove very popular. Visit www.longleat.co.uk/whats-on/sky-safari for details or call 01985 844328.